Horror News TV and the Hannibal Fan Podcast areÂ teaming up with TeePublicÂ (bustedtees.com & teepublic) to provide an hand-pickedÂ Hannibal T-shirt Giveaway with an incredible design from Horror News Radio artist Chad Hunt. 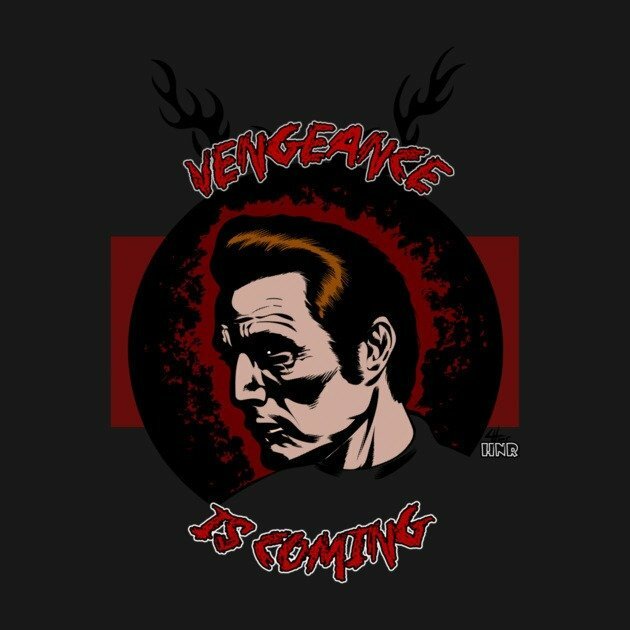 Titled VENGEANCE IS COMING, the shirt displays Hannibal looking away as the saying vengeance is coming circles around him, much like the characters in Apertivo are circling around him plotting their revenge. The deadline to enter is Midnight (EST) Wednesday, July 1,Â 2015. SO ACT FAST! All you need to do is complete the Rafflecopter submission formÂ below.Â The TeePublicÂ Hannibal T-shirtÂ giveaway is open to US addresses only. Don’t wait! Click here to check out the awesome designÂ and purchase your t-shirt today. Vengeance is Coming is perfect for #Fannibals.